The seventh game of the 1926 World Series between the St. Louis Cardinals and the New York Yankees was played on a cold, damp day in New York City. Rain had fallen during the night and a steady drizzle continued throughout the morning threatening a postponement. However, about noon the rain stopped and conditions improved enough to go ahead with the game as planned. When the first pitch was thrown two hours later 38,093 eager baseball devotees, a small crowd by Yankee Stadium standards, had pushed through the turnstiles. On the mound for the Yankees that day was Waite Hoyt. At times during the season he had pitched excellently. On other occasions he had a difficult time lasting more than a few innings. Meanwhile the Cardinals sent their ace, Jesse “Pop” Haines, to the mound. Haines had missed several weeks early in the season with an injury but finished the campaign with a fine 13-4 record. Hoyt got off to a good start allowing only two hits through the first three innings. Haines' start was less impressive. In the first inning he pitched around Babe Ruth then gave up a single to Bob Meusel. He gave up another two hits in the second but avoided more trouble when catcher Bob O’Farrell gunned down “Jumpin'” Joe Dugan as he attempted to steal second. In the third Haines again ran into problems by serving up a two-out pitch that Ruth walloped into the right-field bleachers. Down a run, the Cardinals — with considerable help from the Yankees defense — mounted an attack of their own in the fourth. “Sunny” Jim Bottomley got it started with a one-out single to left. Third baseman Les Bell followed with what looked like an inning-ending double-play ball but shortstop Mark Koenig let the ball bounce off his glove. Chick Hafey followed with a sharp single to left, loading the bases. O’Farrell then lifted a routine fly ball to the outfield. Left fielder Meusel positioned himself under the ball, reached up to make the catch, but let the ball plunk off his glove. Bottomley scampered home with the tying run. With the bases still loaded, shortstop Tommy Thevenow punched a pitch into right field scoring two more runs. Hoyt then struck out Haines and got Wattie Holm to ground one to shortstop. This time Koenig made the play ending the inning but the Cardinals had scored three unearned runs. Haines got through the fourth allowing only a walk to Lou Gehrig. In the fifth the Yankees put two more men on base via a single by Earle Combs and another walk to Ruth but failed to score. The Cardinal hurler’s struggle continued in the sixth when the Yankees scored a second run on hits by Dugan and Hank Severeid. The Yankee’s half of the seventh proved to be three outs for the ages. It started with a single by Combs, a sacrifice bunt by Koenig, and a four-pitch walk by Ruth. Meusel then bounced one to third baseman Bell who got the force out at second. Clearly struggling, Haines’s next four pitches to Gehrig were alarmingly far out of the strike zone. Concerned, Cardinals player/manager Rogers Hornsby called time and trotted in to talk to his ace. Five days earlier late in Game Three a throw-back from his catcher had smashed the tip of the index finger on Haines’s pitching hand. The next day the finger was swollen, badly bruised, and the nail was bloody. Hornsby knew about the freak accident and checked on Haines between innings. Each time Haines had assured his manager that he was alright. Finally in the seventh Haines admitted he could go no further. For Hornsby the question became who to call in to relieve. 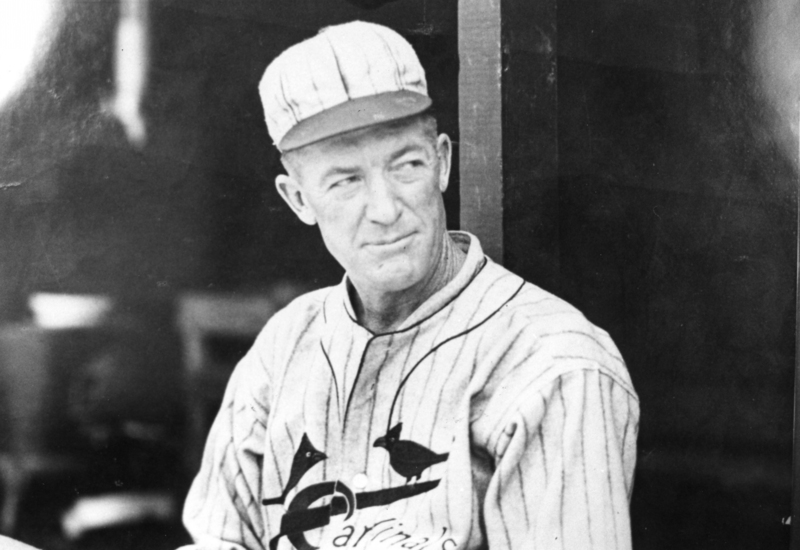 The only member of the Cardinals' staff that seemed unavailable was Grover Cleveland Alexander, who had pitched a complete game the previous day winning for the second time in the Series. Once one of the best pitchers in the game, “Old Pete” was in the twilight of his illustrious career. He was also a confirmed alcoholic and everyone assumed that he had celebrated his previous day’s big win by drinking into the early morning hours. Clearly he would not be ready to face the Yankees again. Reporters after the game claimed that when he took the ball from Hornsby Alexander was well lubricated and suffering from a long night of drinking. The truth is that Alexander was completely lucid and in control of himself. After Game Six Hornsby had told him to limit his celebrations because he might have to pitch in relief the next afternoon in Game Seven. Alex abided by his manager’s instructions. 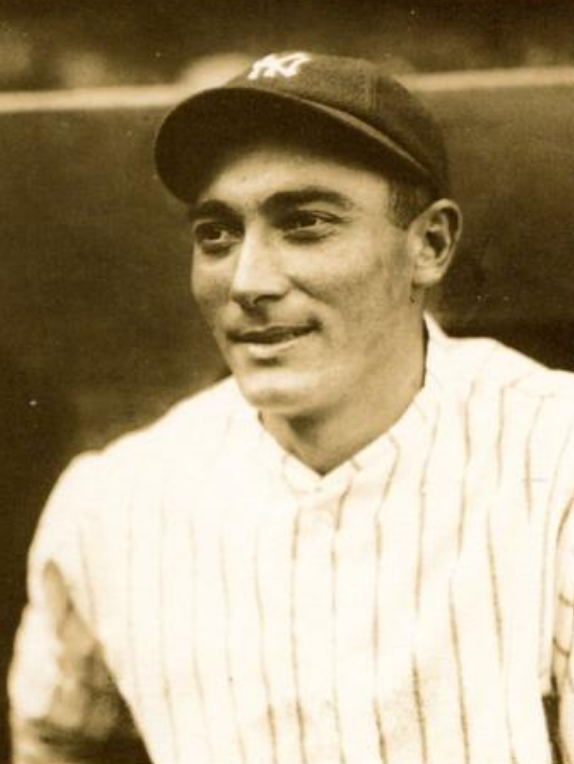 Waiting at the plate was young Tony Lazzeri, who had smacked 18 homers and driven in 117 runs during the season. Alexander told his manager that he planned to set Lazzeri up with inside fastballs and then break a curve or two over the outside part of the plate. Hornsby, who would have told any other pitcher how to pitch, instead simply nodded and gave Alexander the ball. Herb Pennock had replaced Hoyt an inning earlier; he gave up two hits in the eighth but the Cardinals were unable to score In the bottom half of the inning Alexander set down the side in order. Pennock did the same in the top of the ninth. As he took the mound in the bottom of the ninth, Alexander knew that Babe Ruth was the third scheduled Yankee hitter. Two quick outs later, Ruth came to the plate. Alexander started the Bambino with the first strike Ruth had seen since his third-inning home run. A ball and a foul second strike left the Cardinals one pitch away from their first world championship but the next three pitches all missed the plate and Ruth, for the fourth time in the game, walked to first. Doutrich, Paul E., The Cardinals and the Yankees, 1926: A Classic Season and St. Louis in Seven (Jefferson, North Carolina: McFarland & Company, Inc., Publishers, 2011). 1 After the game Ruth explained that he took off on his own. He figured that as well as Alexander was pitching he wanted to be in scoring position in case Meusel got a hit. It is the only time a World Series has ended with a runner caught stealing.